In 2016 and 2017, the Schwechat Refinery was subjected to a routine general inspection (turnaround / TAR), which is required by law every six years. The main focus of TAR 2017 was on the revision of petrochemical plants. In the previous year, the focus was on fuel-producing plants. In both years, OMV was supported by the Pörner Group as engineering partner, in terms of maintenance and overhaul of the plants as well as in projects for modernizing and safeguarding the sustainable and future-viable operation of the refinery. One of the major projects tackled during the 2017 turnaround was the modernization of the FCC plant. The FCC plant supplies, inter alia, the main feedstock for the polypropylene production to Borealis located in the immediate vicinity. 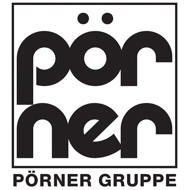 In order to ensure the production capacity over the following TAR cycle, the Pörner Group was entrusted with the implementation of four modernization projects at the FCC plant, which are partly still ongoing. In addition to the optimization of the condensation part of the main column, the dismantling of the existing waste heat boiler E681 and the installation of a modified waste heat boiler within the FCC plant was an important part. The waste heat boiler has to cool down the flue gas generated during the combustion in the regenerator with a temperature of about 750° C by about 300° C. In the new waste heat boiler, with a height of 17 meters and a weight of 74 tons, 13 pipe coils and 253 heat exchanger pipes were installed. 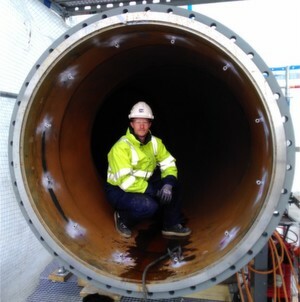 Pörner Vienna performed the engineering for piping and electrical and instrumentation, and was responsible for the construction coordination and the project management. EDL, the Leipzig based subsidiary of the Pörner Group, was responsible for the process and mechanical engineering, and supported the purchasing department. The good cooperation allowed a short lead time of the project, which was optimally integrated into further activities of the TAR and was completed in time and within budget. As in the previous turnaround in 2016, OMV again entrusted Pörner with important support tasks for the TAR. Together with OMV and partners, an exact schedule was prepared for coordinating the tasks of over 4,000 employees of OMV and the 50 partner companies. In the purging area the works were exactly timed to clean the system components at 500 bar high pressure. This time, revision works were carried out on four process heaters, 71 columns, 508 heat exchangers, 698 vessels, 4,188 valves and 1,485 safety valves. All projects were handed over to the operator by the Pörner Group on schedule.